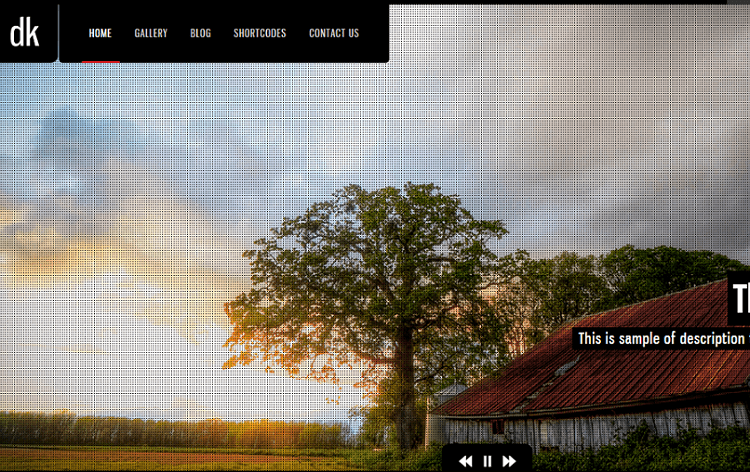 DK is a Portfolio WordPress theme suitable for Photographers to showcase their work beautifully with fullscreen sizes. It can also be used for personal sites. 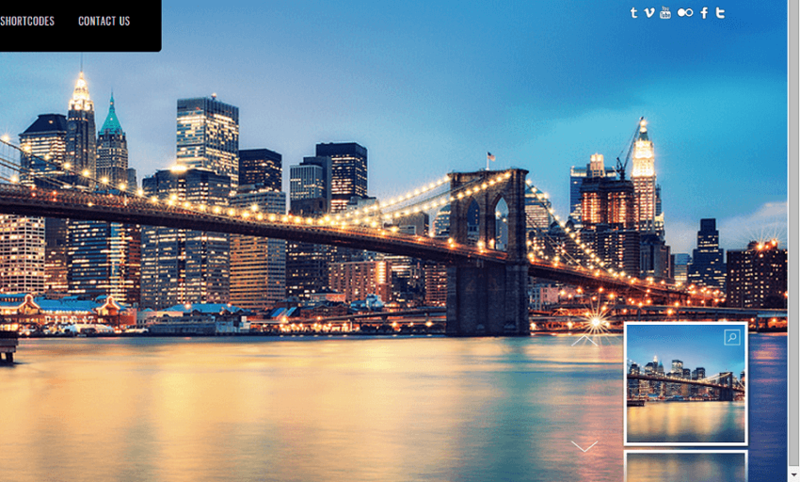 This theme provides 5 different layouts for your home page they are- Fullscreen slideshow displaying images with certain titles, Kenburns- Slideshow with beautiful effects on each slide transition, Flip gallery, Fullscreen video background, static image with fullwidth. It is well documented theme which guides users with the installation steps and that too in a easy way. 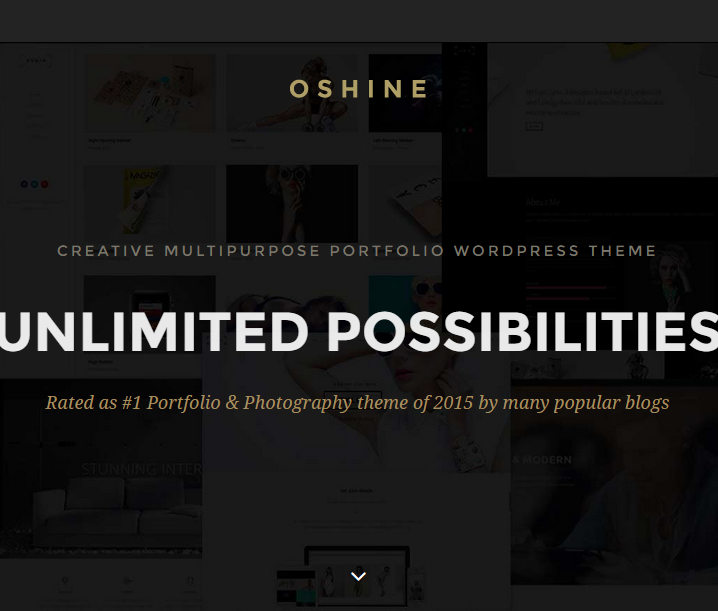 It is also compatible with latest versions of WordPress. 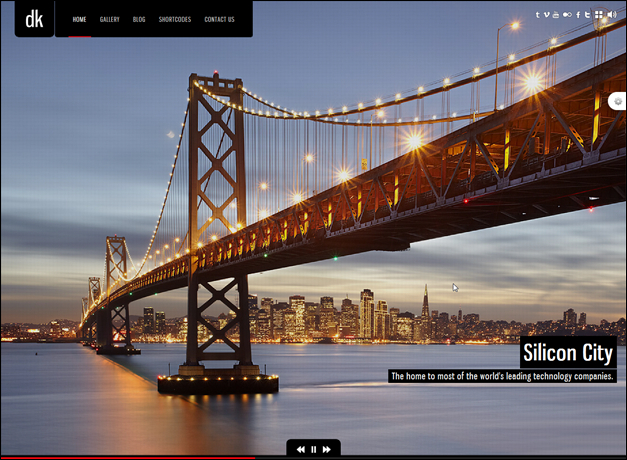 Features of this theme are : It comes packed with 4 different Homepage styles. 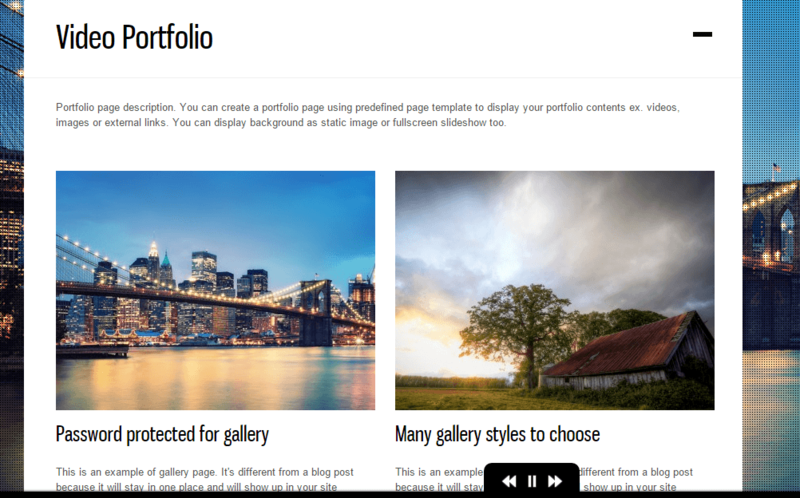 It has 8 different layouts for gallery or portfolio they are- gallery with 2-4 columns with grid view and toggle, flip gallery, fullscreen gallery, gallery of post attachment images, Video portfolio with 2 column grid view and password protected gallery. 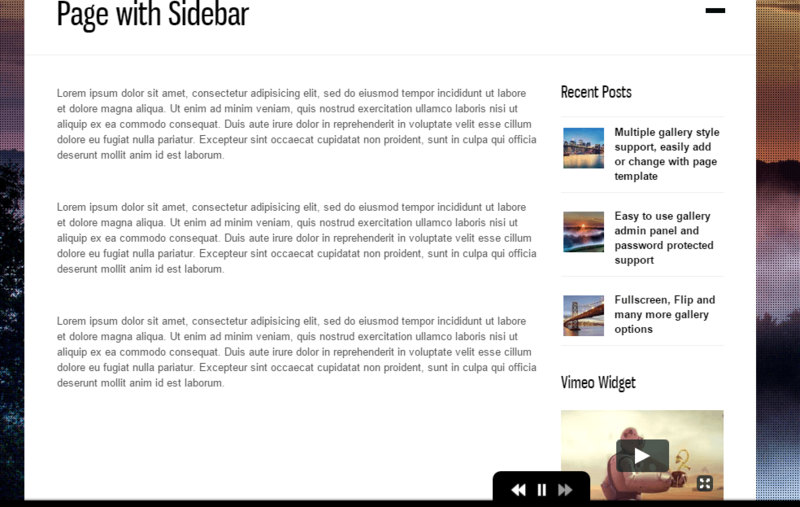 Blog has classic layout with right sidebar, page template such as Fullwidth and page with sidebar are provided. It supports 7 Custom Widgets namely Recent Posts, Popular Posts, Twitter feed, Contact Form, Youtube Video, Vimeo Video, Flickr photostream, shortcodes such as Columns, dropcap, Built-in Shortcode Generator plugin. 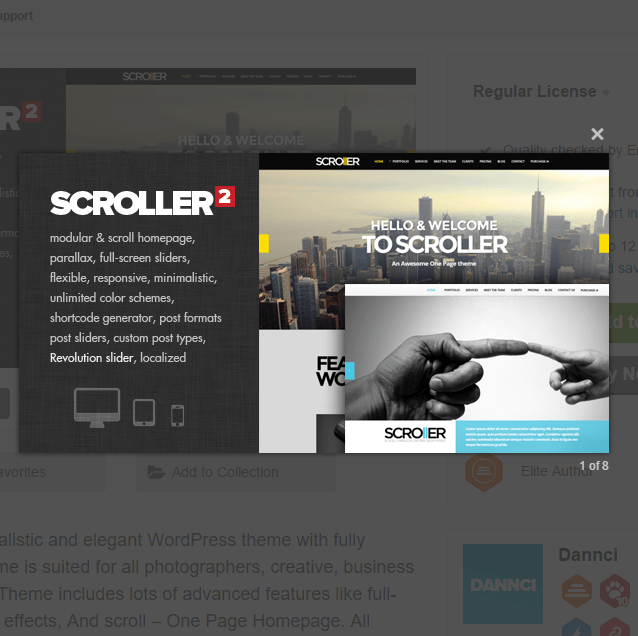 It allows you to have unlimited sidebar just create and select sidebar for each of your page! Good design with 5 Home page layouts and 8 different layout for gallery and portfolio, the theme is really good and easy to setup… Good all around, and for the price as well. 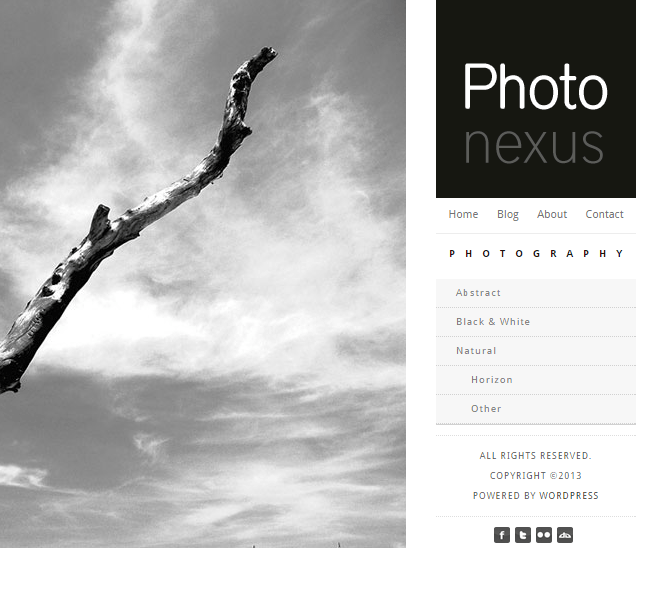 A Beautiful theme for Photography.